Hotel Phoenix can be found in the quiet Wiesti quarter of Zermatt. The train station and the Bahnhofstrasse with its numerous shops and restaurants can be reached within a 10-minute walk. The rooms are equipped with a flat-screen TV and a safe. Wireless internet is available in public areas free of charge. The use of materials like wood, stone and glass created a rustic yet modern style. An improved sound insulation provides for a peaceful night’s rest. 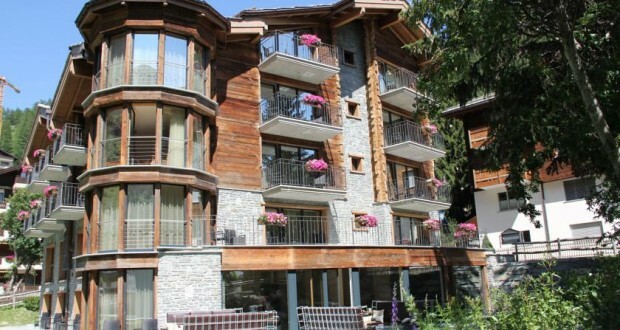 Built from natural materials from the Zermatt region, the entire hotel radiates a cozy, homey, yet modern atmosphere. A rich buffet breakfast is served daily. Guests can enjoy the great view of the Matterhorn before setting out to explore the scenic surroundings of Zermatt. In the evening or throughout the day the bar and the lounge are great places to relax. Many restaurants can be found in the surroundings of the Phoenix hotel.